At her weekly press conferences, Pelosi focused on Democratic efforts to rescind the ban, which prohibits travel to the U.S. by residents of seven countries that have been identified as harboring terrorists for 120 days, suspends the refugee resettlement program for 90 days and blocks Syrian refugees indefinitely. She also said her party is pushing to save the Affordable Care Act while criticizing the White House for deliberately not alerting Americans to the law’s upcoming application deadlines. 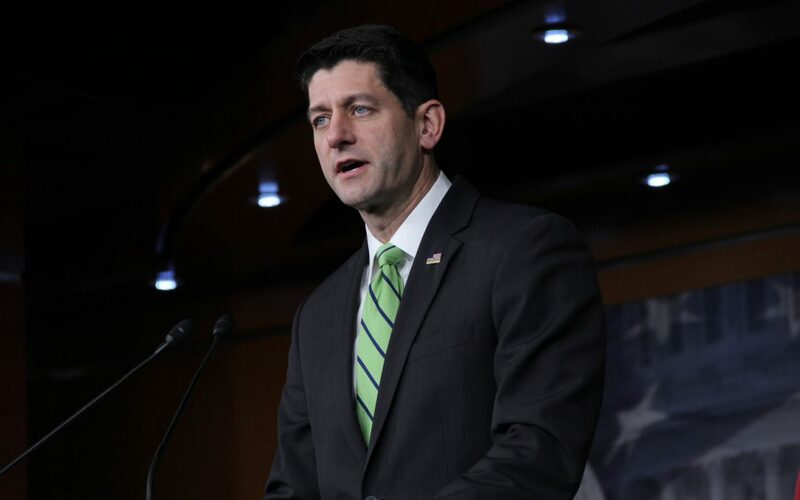 Shortly after, Ryan held a press conference to announce that House Republicans will have legislation to replace the ACA with a GOP health care plan by the end of the first quarter. Ryan said double-digit premium increases and high deductibles under Obamacare are the result of a lack of health care choices. He said70 percent of all counties in America have either an insurer monopoly or duopoly. “I think there is a perception issue and this loose rhetoric that suggests this is a religious test or a Muslim ban is wrong because this is not that,” he continued. Meanwhile, House Democrats are pushing to roll out the Statue of Liberty Values Act to rescind Trump’s ban. Pelosi praised Americans who have been protesting at airports, the Supreme Court and elsewhere across the country. “What’s making America less safe is to have a white supremacist named to the National Security Council as a permanent member,” she said, referring to Trump’s decision to place White House Chief Strategist Steve Bannon on the NSC while downgrading the chairman of the Joint Chiefs of Staff and the national intelligence director. On Russia, Ryan and Pelosi agreed on the need for a tough U.S. stance toward Russia. Ryan called himself a “Russia hawk” and Pelosi criticized the Trump administration’s plans to “review” sanctions on Russia. “I’m more concerned about what the Russians have with Donald Trump that he may be flirting with the idea of lifting them. The sanctions exist. The president has to make that clear,” Pelosi said.